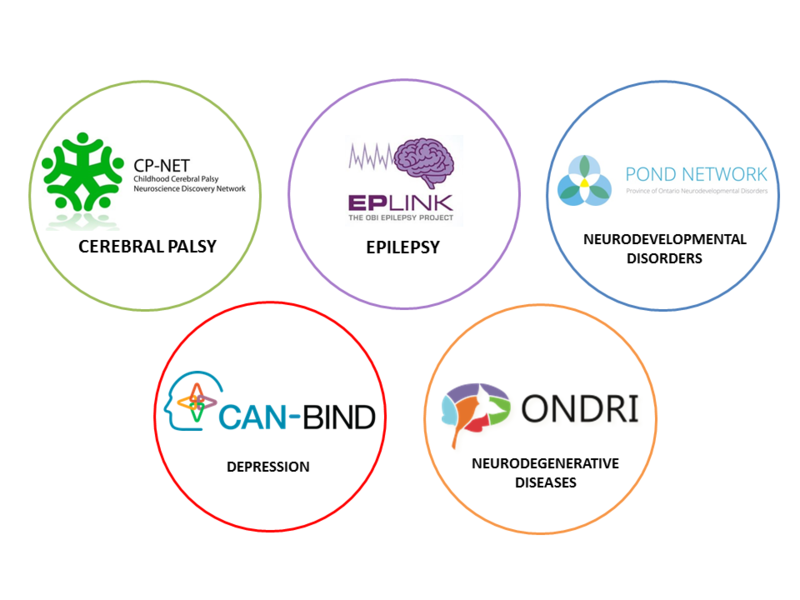 OBI’s Integrated Discovery programs focused on cerebral palsy, depression, epilepsy, neurodegenerative disorders, and neurodevelopmental disorders now bring together over 200 core researchers and clinicians, 35 institutions, 40 companies, and 18 patient advocacy groups from across Ontario. Read about their latest news and progress in the updates they have provided or click here to watch a video that celebrates their continued support from the Province of Ontario. The Childhood Cerebral Palsy Integrated Neuroscience Discovery Network’s (CP-NET) mission is to transform care for children with cerebral palsy (CP) and their families by accelerating the development of new neuroscience discoveries. This stage of research focuses on hemiplegic cerebral palsy (a form of cerebral palsy where paralysis in half the body). The first CP-NET research findings, published in the Journal of Child Neurology, used functional Magnetic Resonance Imaging (fMRI) to look at what brain activity patterns predict improvements in hand function with Constraint Induced Movement Therapy (CIMT), a treatment that minimizes movement in the unaffected side to maximize improvement on the affected, hemiplegic, body side. We know that CIMT can be very effective but it is also very frustrating for the patient when administered. This study showed us that children who have a greater ‘imbalance’ in brain activity before starting CIMT are likely to make the biggest improvements with CIMT. This study is an excellent example of “integrated discovery”, since the different approaches inform how CIMT is working at the brain level – and with this information, we may be able to choose the best responders instead of frustrating a child who may not see too much (if any) benefit. OBI and CP-NET would like to congratulate CP-NET Scientists Dr. Steven Miller and Dr. Margot Taylor (and Dr. Ruth Grunau at the University of British Colombia) and their teams on being awarded CIHR funding to better understand the brain development of babies who are born prematurely. 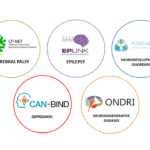 The Canadian Biomarker Integration Network for Depression (CAN-BIND) is dedicated to shortening the path from diagnosis to ‘the right’ treatment for people living with depression. The program does this by testing for ‘biomarkers’—readouts of biological processes in the body like presence or absence of certain proteins in blood or urine, or the extent neural activity in the brain. Biomarkers are useful to clinicians and researchers because they point to healthy versus disease states and help guide treatment selection for individuals. CAN-BIND will examine the impact of these variables across a range of treatments and populations. The first project in the program has over 150 participants enrolled. 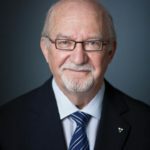 CAN-BIND secured additional funding from Brain Canada and the Mathison Mental Health Centre for Research & Education in the Hotchkiss Brain Institute. This allows for a new collaboration combining the skills and knowledge of researchers at the University of Calgary and Sunnybrook Hospital Toronto to expand biomarker collection to an adolescent population at risk of developing serious mental illness to develop early prevention and intervention strategies. CAN-BIND researchers will be presenting recent results from a detailed analysis of over 2500 samples donated to the program from H. Lundbeck A/S at the Annual Meeting of the Canadian College of Neuropsychopharmacology on June 11, 2015 in Ottawa. The CAN-BIND team has built a strong focus on knowledge translation into the program. Their new video gives a simple breakdown of the program and its goals, and has been celebrated as a knowledge translation success. For more news from the CAN-BIND team, follow them on Twitter @Canbind. The Epilepsy Discovery Project (EpLink) aims to achieve seizure control for individuals with drug-resistant seizures. Researchers in EpLink are working in a variety of research streams focused on improving diagnosis of epilepsy, developing novel drugs and diets, improving surgical techniques, controlling seizures through brain stimulation, and improving the quality of life of people living with epilepsy. Since one in three people with epilepsy do not respond to anti-seizure drugs, EpLink’s focus has been on finding effective alternative treatments, like the ketogenic diet (a high-fat, low-carbohydrate diet) which is used clinically as a treatment for drug-resistant epilepsy. The problem is that even the least restrictive forms of the ketogenic diet are hard to maintain. So, Dr. Peter Carlen at the Toronto Western Hospital has decided to take a different approach to diet therapy – one which involves simply adding fish oil to a normal diet. Fish oil is a food supplement rich in omega-3 polyunsaturated fatty acids (the n-3 PUFAs that are considered “good fats”). A recent study has shown that children taking fish oil supplements had fewer and less severe seizures. Dr. Carlen and his team are now testing whether fish oil supplements can also help adults with epilepsy. If so, this simple dietary supplement may improve seizure control cheaply and with potentially fewer side effects. The Ontario Neurodegenerative Disease Research Initiative (ONDRI) aims to improve the diagnosis and treatment of neurodegenerative disorders including: Alzheimer’s, Parkinson’s, amyotrophic lateral sclerosis (ALS), frontotemporal lobar degeneration (FTD), and vascular cognitive impairment (VCI). Instead of studying what is unique about each of these diseases, the long-term observational study emphasizes seeking out the common early indicators of such diseases. As part of this research initiative, participants complete genomic testing, gait and balance evaluations, ocular testing, a neuropsychological evaluation, and neuroimaging. The objective is to eventually discover potential risk factors. In January, ONDRI hosted a media event at Western University to share the exciting advances being made by ONDRI. Dr. Michael Strong shared an overview about ONDRI and Dr. Robert Bertha explained the imaging platform for ONDRI. Dr. Chris Hudson shared his experience being a Parkinson’s patient and the ONDRI ocular co-lead researcher. Dr. Donald Stuss was the final speaker and explained the importance of the Ontario Brain Institute and the role of collaboration to further innovative patient-focused research. Guests also enjoyed a tour of Western’s Centre for Functional and Metabolic Mapping (CFMM) to see the magnetic resonance imaging (MRI) scans used in ONDRI. Read more about the event here. A study recently published by some of the members of the ONDRI team in Neurobiology of Aging, highlights some of the commonalities and overlap of symptoms among neurodegenerative disorders. This study looks at cognitive impairment or dementia as part of ALS since many individuals with ALS will also develop a form of cognitive impairment or dementia due to cell death in the frontal lobes. This results from the activation of a protein, tau, which builds up inside cells causing the brain cell (or neuron) to die. This study outlines the cascade of events which lead to the build of tau, and identifies a key molecule in this process—a protein called GSK3beta. This protein could be a potential target for drugs that are being developed to treat cognitive impairment in ALS. OBI and the ONDRI team would like to congratulate Dr. Anthony Lang, ONDRI Parkinson’s Disease Co-lead for being ranked among the world’s most influential biomedical researchers. He’s one of 400 biomedical researchers around the world to be included on this prestigious list by the European Journal of Clinical Investigation. Read more. ONDRI has created several resources to help educate the community. Visit ondri.ca; watch videos about ONDRI explained through animation, assessments, and funding on YouTube; and follow ONDRI on Twitter @ONDRISTUDY. The Province of Ontario Neurodevelopmental Disorders (POND) Network has been designed to improve the diagnosis and treatment of neurodevelopmental disorders including autism spectrum disorder (ASD), attention deficit hyperactivity disorder (ADHD), obsessive compulsive disorder (OCD), intellectual disability (ID); the team has recently broadened its scope to include fragile X, Tourette, Rett, and Down syndromes. A recently published study coming from the imaging platform of POND provides a comprehensive examination of brain development of children with ASD between the ages of 4 and 18 years. Findings published in NeuroImage Clinical support the idea that there are in fact differences in size and shape of some brain regions in children with ASD. The next step will be for researchers to trace how these changes develop over time to understand what types of events can lead to the observed changes in the brains of children with ASD. Another POND study published in Child & Adolescent Psychiatry looks at social perception abilities across some of the different neurodevelopmental disorders included in POND: OCD, ADHD, and OCD. This study points to the fact that there is significant overlap between neurodevelopmental disorders which could lead to the more broad use and adaptation of therapies and interventions from one disorder to the other. Have a look at the new POND website that’s now showcasing its research on neurodevelopmental disorders to the public through lay summaries: “Research in Clear Language”.